TROJAN GOLD A Vicky Bliss Mystery. 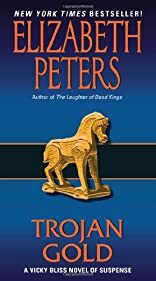 TROJAN GOLD: A Vicky Bliss Mystery. Trojan Gold was written by Elizabeth Peters. Trojan Gold was published by Recorded Books.